Have you ever had trouble teaching the various topics of social psychology and fitting them together to form a coherent field? Dr. Stangor felt like he was presenting a laundry list of ideas, research studies, and phenomena, rather than an integrated set of principles and knowledge. He wondered how his students could be expected to remember and understand the many phenomena that social psychologists study? How could they tell what was most important? It was then that he realized a fresh approach to a Social Psychology textbook was needed to structure and integrate student learning; thus, Principles of Social Psychology was born. This textbook is based on a critical thinking approach, and its aim is to get students thinking actively and conceptually – with a greater focus on the forest than the trees. Yes, there are right and wrong answers, but the answers are not the only thing. What is perhaps even more important is how students get to the answers – the thinking process itself. 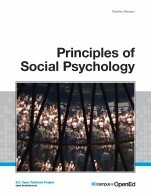 Principles of Social Psychology by Charles Stangor, University of Maryland is licensed under a Creative Commons Attribution-NonCommercial-ShareAlike 4.0 International License, except where otherwise noted. In the 11 commentaries, I have compared the current textbook to the 3 exemplars. It is upon these comparisons that I base my comments. BC Open Textbooks Review Criteria for the Saylor Textbook: Introduction to Social Psychology. Of some interest is the fact that the creator’s name was withheld on request. 1. Comprehensiveness – The text covers all areas and ideas of the subject appropriately and provides an effective index and/or glossary. Compared to the other three textbooks on social psychology that I used as templates I have concluded that the Saylor textbook covers all areas and ideas of the subject appropriately. However, and disturbingly, there is no real chapter index, author index with page numbers, or glossary of terms. As an educator I find this most distracting. In my younger days as a student I would run to a chapter table of contents, author index, or glossary of terms at the end of the book. It was always most helpful when the terms were associated with an exact definition, and appropriate page numbers. Often times in the text certain terms are not defined in all areas. Having a glossary really helps. Not having an excellent Subject Index in a textbook or an adequate Chapter Index (Table of Contents) I feel is a great hindrance and deficiency in the current text that I am reviewing. All three of the other exemplar texts have excellent subject indexes. As an instructor I would not use a text that lacked these essential features. I realize that this is an open online text and students can type in words they are unfamiliar with, however, it is the very fact that they are unfamiliar with these terms that concerns me. Whereas I have no problem navigating the nomological pitfalls I feel that the author is assuming a basic level of understanding that the majority of second and third year university students do not have. 2. Content Accuracy – Content, including diagrams and other supplementary material, is accurate, error-free and unbiased. The content is accurate and compelling. The author writes in an unbiased, objective, and persuasive scientific manner. The diagrams, however, are simplistic, flat, and lack color. In the exemplar texts there were an average of three colors per page. In the current text there were two. In addition, the earth tones used made the reading of what should have been interesting material bland. I find it interesting that in a social psychology textbook there are no actual photographs of people interacting. These types of actual color photographs add dimension, depth, and engage the hearts of the students. In the three other textbooks there are photographs of people interacting in all manner of social, political, emotional, and business etc. environments. By not having actual photographs of people I find that the book comes across as less interesting than its content would otherwise suggest. In addition, the author uses italicized words to highlight I find the addition of bold words embedded in the paragraphs or color words in the margins (as in the other three texts) really highlights important concepts. In general, having taught face-to-face, blended, synchronous, asynchronous, print, web, and online courses, I find that certain excellent features in standard Hard Copy Textbooks also NEED to be incorporated in online copies. 3. Relevance/Longevity – Content is up-to-date, but not in a way that will quickly make the text obsolete within a short period of time. The text is written and/or arranged in such a way that necessary updates will be relatively easy and straightforward to implement. I am assuming that the text has a publication date of 2013. The three other exemplar texts had references dating to within two years of their publication dates. In addition, all texts had discussed papers that were currently in press. Therefore the contents of the textbook are current and up-to-date. The text is also written in a style that will last. We see further because we stand on the shoulders of giants. This well-known quote applies to all well-written textbooks. As such, for the current textbook, necessary updates will be easy and straightforward to implement. 4. Clarity – The text is written in lucid, accessible prose, and provides adequate context for any jargon/technical terminology used. The current text is easy to follow, easy to comprehend, and is not overly burdened with jargon or dry statistics. The text, therefore, is clear, and what profs call in the area an easy read. This simple definition appears to the side of the prose in the textbook page 124 highlighted in Bold Large Print Orange & also appears in a most excellent glossary of terms page 498. The text in the rest of the page fleshes out further meaning. 8. Interface – The text is free of significant interface issues, including navigation problems, distortion of images/charts, and any other display features that may distract or confuse the reader. I don't want to go into too much detail, however, and for example there are minor irritations in the text that concern me. For example in a finished text subheadings should not appear at the bottom of the page with no text below them. On page 66, the subheading: How Schemas Maintain Themselves... is so positioned. In addition, on page 67 under the heading research focus concerning confirmation bias, the author refers to a figure without stating the figure number. He's talking about figure 2.1 but simply says you can see in the following figure. When writing textbooks, or book chapters, or international peer-reviewed journal articles, the interface between what is written and the graphs provided is indeed critical. This pattern of not referring to graphs, charts, and tables continues throughout the textbook. 9. Grammatical Errors – The text contains no grammatical errors. None that I found, although I do not tend to spend too much time looking for grammar errors. 10. Cultural Relevance – The text is not culturally insensitive or offensive in any way. It should make use of examples that are inclusive of a variety of races, ethnicities, and backgrounds. The author continues using the White and Black references on the following pages, 614 616 622 628 629.., and more... In addition, we tend not to use the word Indian in Canadian literature but prefer First Nations. Starting on page 315 there are five references to “Indian” that I found. Other than these two questionable areas I found the text to be well rounded and non-offensive. 11. Are there any other comments you would like to make about this book, for example, its appropriateness in a Canadian context or specific updates you think need to be made? I find this text appropriate for 4th year University Students although I would not use it for the above listed reasons. I hope this review is useful to your work. The textbook is very through regarding all areas and ideas of the subject. Further, the author presents a clear pedagogical framework: the text applies cognitive load theory, moving, as the writer tells us in the Preface that it will be, “systematically from lower to higher levels of analysis” (p. 3), which, as instructional developers and students, we know is a method that works in acquiring new information and knowledge. The writer is well grounded and has a specific focus in the subject through years of teaching and provides many supportive resources, such as real-life examples, video clips, topic summaries, and exercises, and external website URLs, to name a few. However, there is no index, nor is there a glossary. It would be useful, given the amount of terminology in this textbook, to have two sets of glossaries per chapter. One set would appear after the Key Takeaways section (which appears at the end of each topic) and could be called Key Terms, and the other set would be a Chapter Terms section at the end of the chapter, appearing directly after the Chapter Summary. Further, there would be a glossary at the end of the textbook, with page references. These terms would also be included in the index. In the Exercises and Critical Thinking sections, students are asked to define terminology, but because there is no glossary or answer key to the exercises, there is no place for students to compare their definitions with those of the author. Also, I am fairly certain that no explanation was attached to the Research Focus sections. From the examples used throughout, I detected a certain amount of bias. The target audience for the textbook itself (not including the Preface) seems to be limited to young, North American, college students. It might be appropriate, given the subject matter, to include a more diverse audience base, such as students from other cultures and in a range of age groups. Also, there is a bias toward a positive thinking approach; there is no mention of cognitive behavioural therapy or other approaches used in psychotherapy. Holmes and Rahe’s stress scale is only one approach; others are not mentioned. Many real-life illustrative sections (used to illustrate a concept, such as the concept of self) are provided throughout the textbook, generally at the beginning of a chapter or section. Both students and instructors can quickly find and tap into these for in-classroom or self-study. These will have to be updated periodically, although some can remain (not be replaced/swapped out). For example, the Dancing Matt Harding reference is already outdated, since Harding has released more videos since 2008. Further, it might be a good idea to use physical separation (in addition to, or perhaps instead of, the use of italic font) between the example material and the textbook commentary, particularly if any third-party material is used. Suggestion: set out some of these illustrative sections as case studies (maybe one case study per chapter) followed later in the topic by exercises and reflective questions that refer back to the case studies. The writing is lucid and accessible, although paragraphs tend to be on the long side. They could be broken up as appropriate and more expositive subheadings could be introduced to help chunk the content (something an editor could help with). Italic font is used for several purposes: (1) for the illustrative real-life examples of concepts, (2) sometimes for key terms, and (3) for in-text definitions of these key terms. Definitions are sometimes italicized, but additional non-essential words are included (see p. 126 for an example). The Preface should include an explanation of any such font choice and the first chapter should include a reminder of what the author has decided to do in this regard and then apply the choice consistently. Context for jargon and/or technical terminology is provided, particularly by way of the illustrative examples mentioned earlier and in the self-assessment quizzes (such as the true or false quiz on p. 32). The framework could benefit from minor changes. Font colour, when referring to a table or figure in text, could be matched when referring to the captions. In the interest of visual consistency, I recommend that the same colour be used for both the caption and its in-text reference. As mentioned in the previous part of this survey (5), there are large blocks of unbroken text and overly long paragraphs. The text is currently chunked into numbered topics. This is helpful to instructors who, when designing learning activities that include readings from this textbook, can refer to topic readings by number, and to students, who want to refer back to those topics. The numbering also enables reorganization/realignment of material, especially in a course that may be presented in a non-linear fashion, and it creates a sense of progression through the material. However, as mentioned in the previous section, there are large blocks of unbroken text. More subheadings are needed. Also, providing a mini-table of contents at the start of each chapter could serve as an advance organizer, a heads-up to all readers regarding what to expect in that chapter. One way to organize this in each chapter is to have the mini TOC I have suggested including, then the Learning Objectives and the real-life illustrative example for that chapter. Information throughout is laddered appropriately, in alignment with the author’s statement in the Preface about the systematic ordering of the information. The structure of the textbook and the complexity of the ideas presented builds; the commentary is flowing and easy to understand. Even more clarity and organization could be provided by using a “roadmap” at the beginning of the textbook and at the start of each chapter to visually layout the topics and concepts covered. I would prefer to give a 4.5 in this section rather than a perfect 5, because this roadmap/visual index could really enhance the organization of the book and make its framework obvious. There are many areas throughout the entire textbook where the space between words has been omitted (I counted around 89 in the first chapter alone); this is the spacing problem I mentioned earlier when talking about the APA citations and the job well done on those. Subheadings need to stand out from body text (see, for example, p. 93). Captions are sometimes inconsistently titled, and these need to be consistent throughout so as to avoid any confusion for readers. Also, it’s preferable not to use quotation marks around in-text references to table or figure titles. Number Key Takeaways sections to match the topic number—this would aid readers when searching for materials (especially when reading the textbook online). Number and caption ALL images/diagrams/figures/tables (example: pp. 65, 72 images have no captions). Include the figure number and title with the caption itself instead of separating it; otherwise, the caption could be confused with the body text (the commentary). There are minor grammatical errors (for example, on p. 50, use “a(n”) in diagram. I have also mentioned in my answer to an earlier question my impression about the apparent target audience for this textbook. Again, it feels as if, from the examples used and places mentioned when discussing a concept, that the intended audience members are predominantly North American (and possibly of European extraction), have English as a first language, are familiar with dorms and fraternities, and are young. This could also be because much of the research referred to is of North American origin. Halloween is mentioned (p. 174), as is Christmas (p. 130), but many students will not be familiar, especially not first hand, with those cultural or religious traditions. I may, however, be sensitive to this type of bias because I work at a university with many international students, and I do acknowledge that the subject of social psychology is based on North American and European research. But what do researchers in other parts of the world have to say about social psychology? Also, I assume by the places referred to (such as “Seattle,” “dorms”), the spelling (American, as opposed to Canadian or British), and other Americanisms that this textbook is US-centric, which is fine, but could pose a problem if taught in Canadian universities. Both students and instructors would expect a Canadian textbook and attach more credibility to it than to an American one, which is why there are often Canadian editions of course textbooks (at least, that’s what we use predominantly in the university where I work). Illustrative examples need to be more globally focused, too. Provide answer keys and/or sample answers for the exercises included in the textbook. Include a glossary and index. Consider the cultural, social, environmental, and national context in which this textbook might be used. Use more informative and engaging diagrams. Update all real-life examples. Fix the spacing issues. Break up long paragraphs and use more subheadings. Use mini TOCs at the start of each chapter. 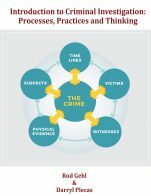 Strong points are the extensive and wonderfully APA-formatted references, the comprehensiveness of the material, and the engaging and empathic writing style. Charles Stangor, author, frames the text around the two human motivations of self-concern and other-concern then uses this frame to focus discussions on a variety of individual and social dimensions including altruism, aggression, prejudice, gender differences, and cultural differences, etc. Grounding the text in the fundamental principles helps to anchor the reader in the two key concepts of social pscyh throughout their learning/reading experience which then ensures the learner consistently looks through the lens of a social psychologist, and then links their learning back to these fundamental premises. Such an approach is comprehensive yet cohesive. Providing a conceptual anchor enables the reader to diverge into multiple related concepts and contexts more freely because s/he always has a home base or reference point. Stangor's examples tend to be 'negative', primarily focused on negative behaviours or influences as opposed to the positive i.e. the ways people harm each other as opposed to help. Even the introduction describes a mass suicide. Examples tend to be shock oriented, perhaps indicative of the bias that undergrads have short attention spans. A broader range of examples and affect is encouraged. In terms of accuracy, the text is well supported, cited, and explained. It appears to be error free. Stangor is careful to provide a range of citations and references dating back to the earliest cases or theories and including the most recent commentary or developments. In this way, he illustrates the evolution of social psychology and also suggests that it is a social science under continuous development. Such an approach leaves the text open to updates while communicating the idea that a body of research is to under constant evolution and open to continuous contribution and challenge. Stangor also accomplishes the task of illustrating that concepts have originators or major theorists who shall not be discounted or considered obsolete simply because of the date beside their name but that they play a significant role in the development of a construct or insight. The text's effective use of headings enables an editor to focus on a specific area or areas for updating. The references are linked and collated, and therefore easy to expand and update. The simple and repetitive structure is comforting to the reader yet each section is complex and multifaceted enough to provide interest. At the same time, the clear structure provides editors with an easy means to update sections by providing a pattern of components to cycle through. This text is simply organized and clearly structured providing a rhythmic organizational 'pattern' which enables easy reading and access for the student. Opening with 'Learning Objectives' and ending with 'Key Takeaways' and 'Critical Thinking Exercises' gives the text a pedagogical cohesion and focus while providing the reader with short overviews of each chapter. Some of the allusions are dated i.e. 'be a pepper!' and in order to captivate the undergrad audience, it would be important to ensure that these references are current. Video clips, websites, figures and links are interwoven throughout the text for interest and extension. In the Public Interest sections are relevant, applied and purposefully constructed. Easy updating possible. 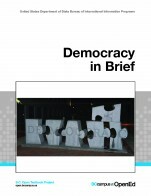 Chapter summaries appreciated by the reader and illustrate an effective summary section that not only highlights the key points of a chapter, but discusses the wider social and human implications for these concepts. The internal consistency is a key strength of this text. As mentioned earlier, the structure of the book is cyclical and repetitive while sustaining complexity, interest, and variation. The structure includes multiple components, but these are repeated in each chapter lending the text cohesion, focus, and clarity. While Stangor presents a sensible ordering of concepts in his layout, he also leaves the instructor the freedom to re-order or select specific sections as standalone chapters or sub chapters. This characteristic also makes the text relevant to other contexts, courses, and disciplines. As an interdisciplinary field, Social Psych has relevance to many subject areas such as business, health, law, communication, and education. I imagine an instructor in business management feeling free to assign chapters 11 and/or 12 to illustrate the social psychological underpinnings of the organization or to explore the role of diversity and interculturalism within the workplace. Stangor has organized the topics from lower to higher levels of analysis which provides a general enough flow without constraining the instructor to a complex obscurely linked or too intricate organizational framework. The flow of the individual chapters is also coherent. The framework for each chapter is captured in the learning objectives and introductory paragraph for ease of reading and access. The reasoning or relationships governing the organizational framework of the chapter are also described in the introductory framework. One could of course argue with Stangor's frameworks; however, this in itself may provide fodder for an engaging discussion in the class. The figures and charts are all clear, colourful, simple, linked and well supported and/or referenced. There appear to be no grammatical errors. The intercultural sensitivity and awareness illustrated within this text is one of its strengths. Topics, references, issues, references, and examples are from a diverse spectrum but also attend to particular issues of diversity or interculturalism in an insightful, modern, and relevant manner. Chapter 12 of course addresses the issue of 'Stereotypes, Prejudice, and Discrimination' directly, but interculturalism is a thread woven into all of the chapters and sections. One weakness of the text is the simplistic nature of its conceptualization of 'culture' as something that is bound by national boundaries alone. Throughout the text, culture is described in terms of national or hemispheric characteristics i.e. individualistic and collectivistic, Western and East Asian. 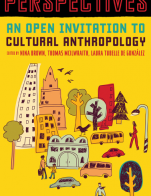 This reviewer would argue for a more sophisticated worldview and discussion of culture as extending to values, beliefs and assumptions as determined by myriad factors including but not limited to race or geography; cultural factors also include education, heritage, economics, experience, employment, history, social influencers, etc. This book has mostly American references i.e. Obama, advertisements, cultural norms, educational systems, news stories. Canada is mentioned only 7 times compared to America/n which is mentioned 133. On the whole, this text covers all of the topics one would expect to see within a social psychology textbook. However, the author has made some interesting choices that reflect his pedagogical goals and biases. For example, instead of including separate applications of social psychological principles in separate modules at the end of the text (what has become a common approach in the field), he has instead integrated applications (e.g., for health, law, the environment, clinical settings, etc.) within the chapters. On the one hand this is a good idea and allows students to see some possible applications of concepts as they learn them. On the other hand it results in chapters running a bit long and students encountering additional terms and information before they have had a chance to master the basics. 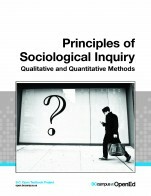 The text includes some good pedagogical features, including learning objectives embedded within each module within each chapter, useful exercises at the end of each module, and a section within each chapter on social psychology in the public interest (applications of social psychological principles). For the most part the organization of chapters follows a fairly standard template starting with methods and going on to social cognition, the self, attitudes, social influence, attraction, prosocial behaviour, aggression, groups, and prejudice. However, an early focus on social learning (Chapter 2) and social affect (Chapter 3) is unusual in its prominence (most social psychology textbooks do not include a separate chapter on social affect). The text does not include a table of contents or an index, both of which are highly desirable. I did not encounter any obvious errors or problems with the accuracy of the content. Strangor supplies a (sometimes long) list of references at the end of each module within each chapter, which is helpful. Note: The text makes occasional reference to video clips (e.g., See Video Clip 1) that are not available to the reader. Strangor balances the introduction of classic and contemporary research within each chapter. Given the hierarchical organization of the text (learning objectives within modules within chapters) updates could target specific topic areas. One quibble: Many of the examples provided are fairly outdated (e.g., a 1997 mass suicide, President Bush’s approval ratings in 2001, etc.). The text is written accessibly. Learning objectives and chapter summaries further assist comprehension. The text is internally consistent. Strangor follows the same pattern in every chapter which makes for a predictable and manageable format. His stated goal was to work from simpler to more complex topics and he makes an effort to build on the information provided as you move through the text. The text is well organized into chapters and modules within each chapter. Each module includes useful exercises that help consolidate learning. For the most part the organization of chapters follows a fairly standard template starting with methods and going on to social cognition, the self, attitudes, social influence, attraction, prosocial behaviour, aggression, groups, and prejudice. However, an early focus on social learning (Chapter 2) and especially social affect (Chapter 3) is unusual in its prominence (most social psychology textbooks do not include a separate chapter on social affect). There are also sub-topics within the text that appear to borrow heavily in content and tone from traditional chapters in an introductory psychology text (e.g., operant conditioning, eyewitness memory, Selye’s general adaptation syndrome, etc.). Given that Strangor has also authored an open introductory psychology text this is likely not a coincidence. The charts and illustrations are clear. However, there are several oddly formatted graphs (e.g., page 256, 347, etc.) in which the bars are inexplicably clustered together towards the left end of the x-axis. Directions to view non-existent video clips should be omitted. I did not encounter any grammatical errors but the text does need proof-reading. For example, occasionally there are sets of words printed together with no space in between. I did not come across anything I would consider insensitive or offensive. However, as far as cultural relevance is concerned, this text is a US edition and the examples (e.g., “How the Obama campaign effectively used persuasion to defeat John McCain”) and statistics used throughout the text strongly reflect this. Some of the examples (e.g., George Bush’s approval ratings in 2001) are also a bit dated, even for a US text. A second year university student in 2013 would have been 7 years old in 2001. This text needs significant updates to the real life examples used for their relevance within a Canadian context.